You must make bookings at least 5 minutes in advance of the time at CAU - Amsterdam. 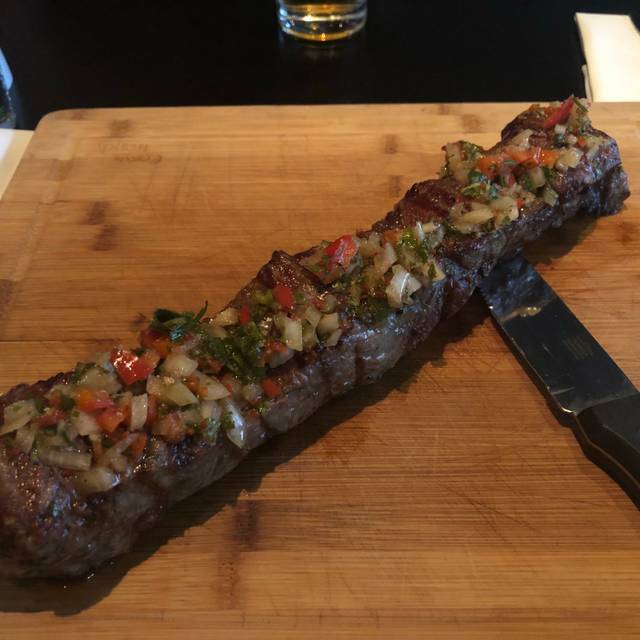 Argentine casual fine dining restaurant, specialising in steaks. The most extensive Argentine wine list in Amsterdam. With Private dining and corporate facilities available. Beautiful, newly refurbished building, centrally located. Melt in the mouth pork in a light batter alongside our special CAUchup, Awesome! Lean and delicately flavoured, this cut is mouth-wateringly tender! Was there by myself on a Saturday night (booked online). Very approachable and friendly staff, they’ll also give you suggestions on the choices of food if u needed. Food - Ordered a rump steak and it was pretty tough, had to summon my strength to cut through it, so I probably should have gone for medium rare instead of medium. The local beer was decent though. Also the place has a good vibe, would recommend sitting upstairs. Really good service. The meat was amazing but the salmon was very dry. Great food full of amazing flavors. Went for dinner two days in the row. Nine work colleagues enjoyed a wonderful evening at CAU. The staff were excellent in sorting out a muddle with the booking numbers and varying times of arrival. Everyone was pleased with the food and steak quality and cooking. Steak was excellent. 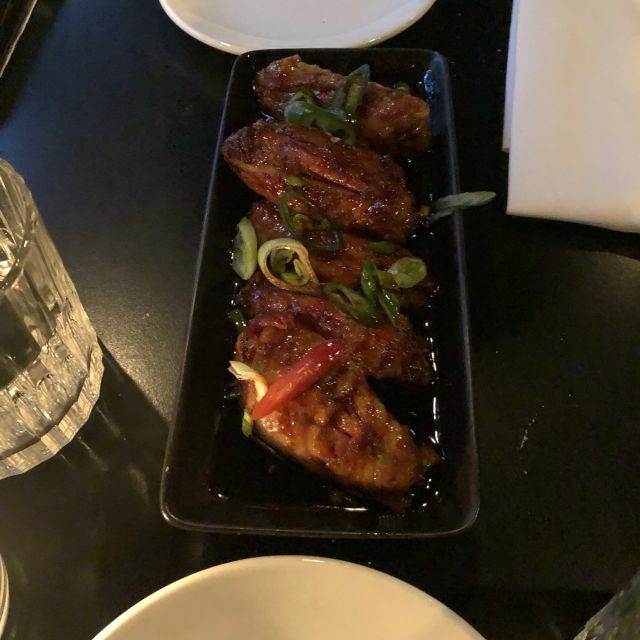 The service was a little hurried and the waiter was unclear in communicating problems with what was available on the starters section of the menu. The food was delicious and the service was polite, however there was a small problem with our receipt. Despite not ordering any drinks, water was brought to our table and poured into glasses. We assumed this to be 'on the house', as we had not requested it. At the end of the meal, a rather expensive bottle of water (5€<) appeared on our bill. The item was removed from the total price upon complaint, but a bad impression remains. The location was great, but the food was moderate. Our steak was over cooked although we specified medium. This place seems to be in high demand, so perhaps it was just an off night. LOVED the food. And we are from Texas so we know steak. 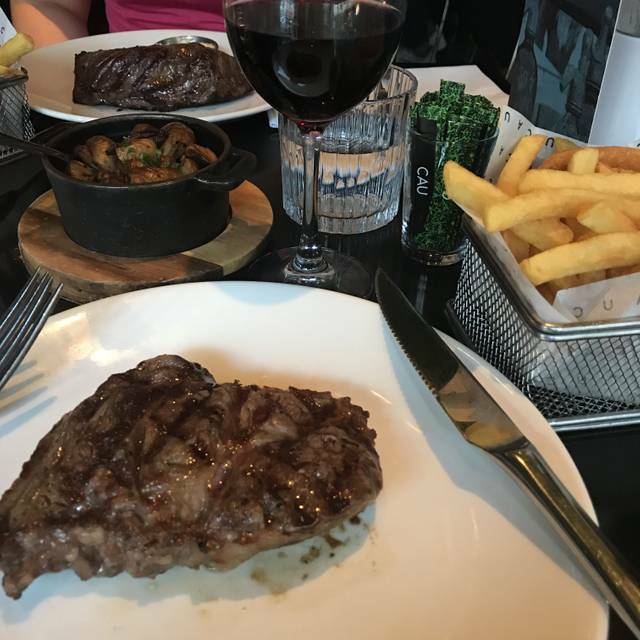 It’s the best steak place we’ve had in Europe so far! Disappointing meal. 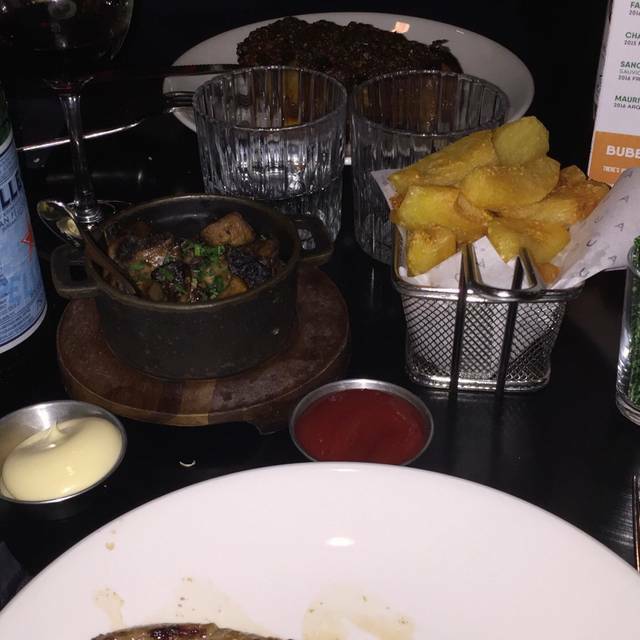 Unprofessional server, noisy, bad lighting, steaks were OK, but that's about it. This wasn't the place to have a nice, leisurely dinner. The food was really good, especially for being right in the middle of the tourist trap. The service is ok and a little on the slower side. The sticky wings and the shrimp chicharon are a must for appetizers. 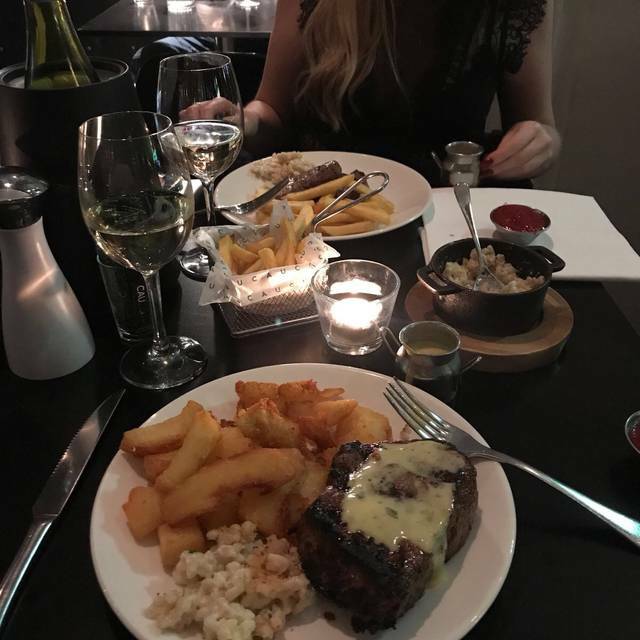 For dinner I always go with the chicken Caesar salad and the Fiancé goes for the filet and chips with a side of peppercorn sauce. Over all the food is great. Lovely restaurant. Was recommended by a friend and really glad we went. Mooie locatie, goed eten, goed vlees en mooie porties! echter het personeel spreek geen fatsoenlijk Nederlands en is erg opdringerig. we konden amper op de kaart kijken, of de bediening was al 3 keer langsgekomen om te vragen of wij al een keuze hadden kunnen maken. 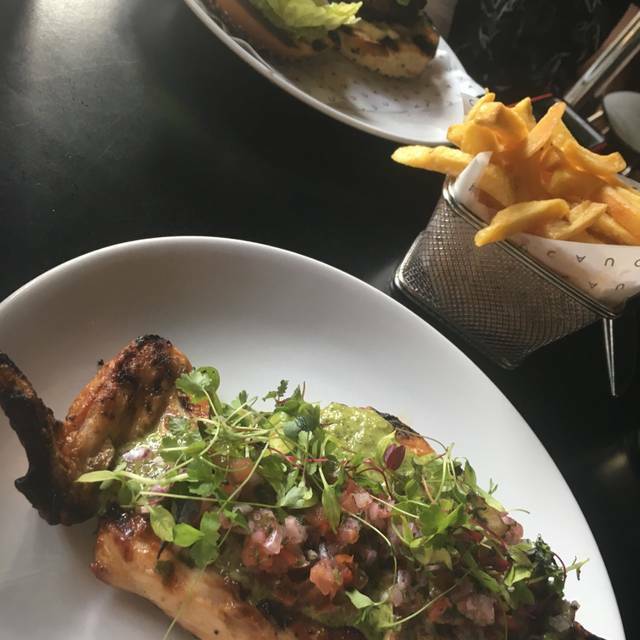 Amazing food, great service and very friendly staff! Would definitely recommend! Food, service and price all amazing. Had a nice evening with my friends, staff is very friendly and the food is sooo tasty!As a side I would recommend the mac nd cheese with trufffle :) Dessert was also delicious. Came for birthday dinner celebration whilst visiting Amsterdam. Food very good, although quite expensive, but you pay for what you get! Atmosphere very nice and everywhere very clean and well presented. Alright, nothing special at all, good for a lunch. Nice food, good setting. Very much a STK vibe. 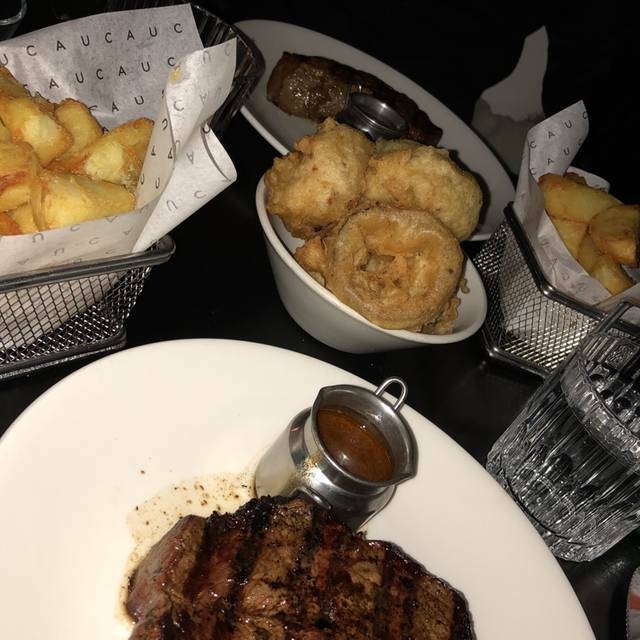 The steak here is amazing would definitely recommend it and will definitely be back. Food was very good, good value for money. However we were sat on the top floor and it was boiling. The couple on the table next to us asked for them to cool it down but no changes were made. This made the meal rushed and uncomfortable, however the food was very nice so as a whole we enjoyed it. Service a bit slow. 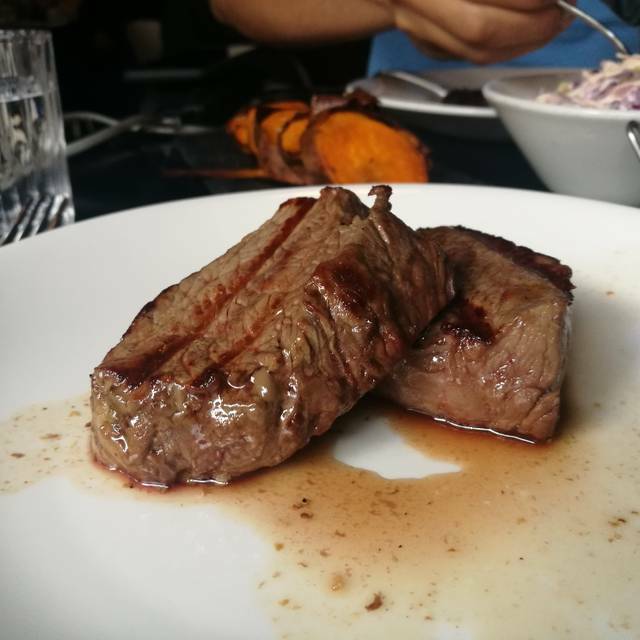 Asked for medium steak, it was more medium rare but manager happily sent back to be cooked more which I appreciated. Ordered a few sides - very plain. No taste whatsoever. Steak not worth the price as it comes itself. The place looks beautiful, and the meat was delicious! Really tender and tasteful. The starter was quite disappointing, we ordered tempura shrimps which were described as crunchy and they were completely soft, almost transparent tempura cover. The desserts were nice, nothing spectacular. We would go back for the meat and skip the rest. 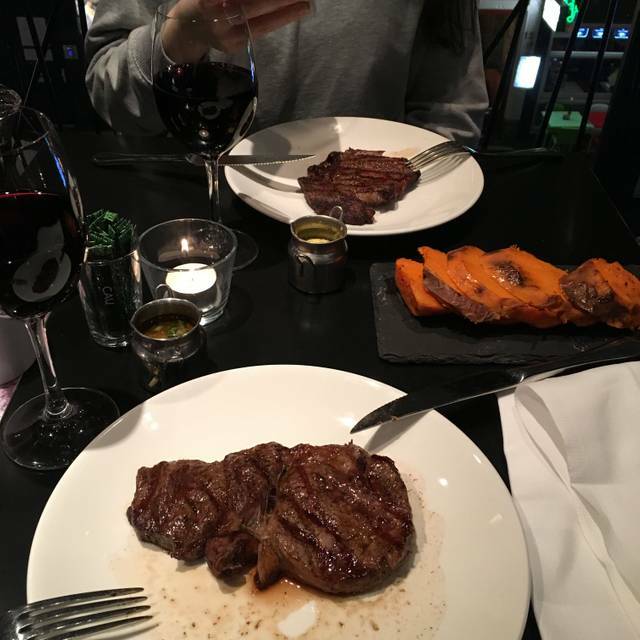 The food was really nice, although the sirloin steak was difficult to cut. I have been here each time I’ve visited Amsterdam and it’s been lovely each time. Would have given 5 stars. Considering ee ate there 3 nights in a row. But one thing really irked us on all 3 occasions. Greed. It's the first restaurant any of us have been in where we are asked if we want the change brought back to the table when paying the bill. Every night. No matter how small or large the change would be. Appalling policy. CAU didnt really look that in need of a few euro. Pity, as everything else was good. Great location, atmosphere and service. Only the steak I was hoping would have been better. But overall a good place. From start to finish I simply couldn’t find fault with my trip to CAU . Beautiful food and cocktails were 10/10.